This has been an extraordinary experience – being interviewed by a person I admire. Jean Gill drilled me about my book The Forest of Trees, but more importantly, about some life issues I consider very important. 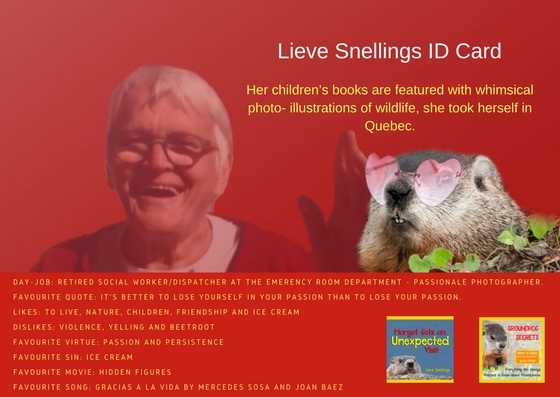 Lieve Snellings is an author and photographer I first became acquainted with through her nature books for children via Readers Review Room. It is a pleasure to have her over as a guest. Lieve Snellings is a retired freelance photographer who lives in Leuven (Belgium). Her series of picture books ‘Nature in Quebec, Pictures of Astonishing Wildlife’ count now 2 books, available in Dutch, English and French. Her children’s books are featured with whimsical photo- illustrations of wildlife, she took herself in Quebec. 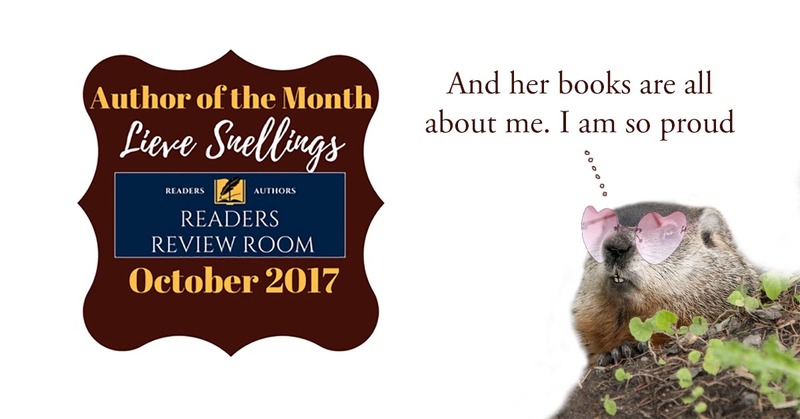 Lieve Snellings became ‘BookGoSocial Top Voted Children’s Author 2017’ and ‘Readers Review Room’s Author of the Month October 2017’. Her images illustrated many books, magazines and were published online. Her photos were shown in exhibitions all over the world. Since 2008, after meeting up with her partner who lives in Quebec, you can find her for about 5 months a year in Canada. There she became a passionate nature photographer. 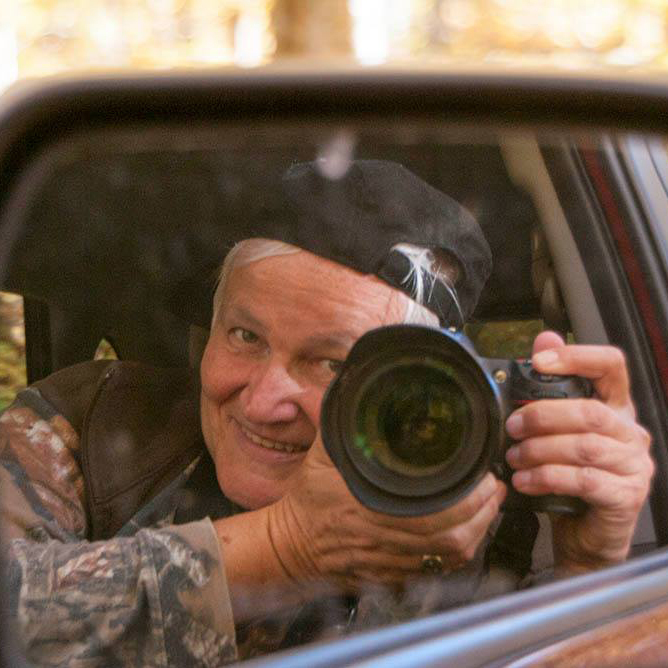 She spent hours, weeks… Observing wildlife and searched every info she could find. This and her imagination made her publish two children’s books in which photos are as important as words. Her stories take the traditional picture book experience and transform it by replacing illustrations by her own nature photography. The books are written in her mother tongue Dutch and translated in English and French. Day-job: Retired social worker/dispatcher at the Emerency Room Department. Passionale photographer. Favourite quote: It’s better to lose yourself in your passion, than to lose your passion. 1. Welcome to Anita’s Haven. Pull up a chair, relax and fire away. Firstly, tell us five things about yourself that you think matter the most. 2. When you were a kid, what did you want to do in life as an adult? Can you remember the moment you realized you had become an author? How did it feel to transcend from that point when you just wrote for yourself to the point when you realized this was what you wanted to do full time? When I was a child, I didn’t dream to become a writer. I wanted to become a world champion in bicycle and then I would buy a big apartment in South Africa, in which half of the habitants would be black and the other half white. And so in my dream they had to learn to live together. As many teenagers, I wrote poems as a way to express myself. But I didn’t think of me as a poet nor an author. Maybe that’s the reason, that in my books, Margot the groundhog became the narrator of her own life. 3. Why do you write? What’s the most challenging aspect of your genre? Which genre can you never see yourself writing and why? How do you feel when you write? Is there a special ritual to it, a playlist, place, company, technology? This is a good question why do I write books? And it will be so different than for other writers, because I do it, in the first place, because I’m a photographer. Photographing nature was so good for my soul. And when I realized I had so many amazing photos of all those Quebecois animals and birds, I started thinking that these images could help reveal the beauty of nature to all kids, small and big ones. Making a children’s picture book seemed to me the best way to do so. Only my picture books would be different from others, because I would work with my own photos. And it is that aspect that is the most challenging, I didn’t find much other picture books based on real photos. My work is a sort of special, something very different, in the big children’s book genre of picture books. 4. Which genre can you never see yourself writing and why? I don’t like horror. Writing about something is going deeper into the story. I can not do that with horror. 5. How do you feel when you write? 6. Is there a special ritual to it, a playlist, place, company, technology? The photos play a very important role in the creation. 7. Tell us more about your book characters. Who inspired you for the heroes and villains? Who is your favourite character and why? I don’t know how she did it. But Margot the groundhog made me change my plans and give her the main role in the books, and that is the reason I more and more started to love her, she is such a strong character, she knows what she wants and goes after it. 5. We all know typing those special words, the end, gives us a priceless feeling, but that is when the actual work begins. How do you deal with the editing process? Are you your toughest editor and beta-reader or do you rely on someone for that? I do have some beta-readers who go with me through the process. At the end, I asked an author-editor to read it. This is how I ended up with two books instead of one (My very first edition both books were worked out in one big picture book). In the beginning, it was tough and I didn’t quite understand. But then a 10 year old girl made it all clear to me after I asked her to read. 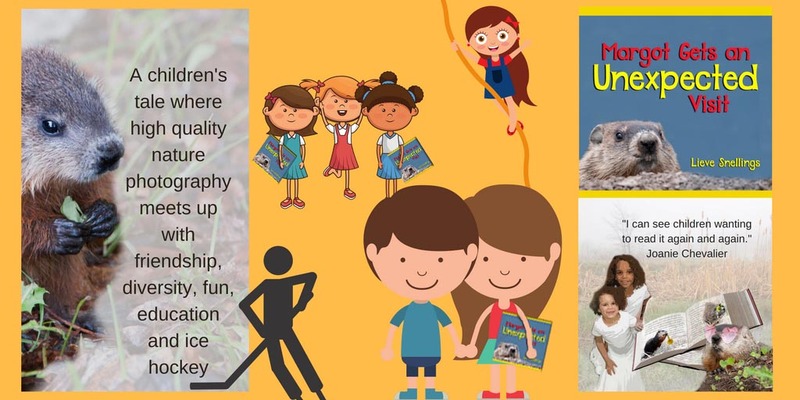 She said ‘one part in the book is more a story for kids a bit younger than me, but then this part with all the tidbits on groundhogs, I’m sure even my sister, who is 12, will enjoy that. And exactly this was it my first editor wanted to point out for me. And so I ended up with 2 books instead of one. After that process, they were both edited by a friend writer-publisher. Another big job was the translation. I had a translator into French and into English. And after the translators had done their job, an editor came in and changes were made in agreement between translator, editor and me. 6. How much do praise and positive reviews help to fuel your creativity and keep you writing? How do negative reviews affect you? Positive reviews give me, of course a boost, it’s like the fire of passion in myself gets some extra air and grow. Of course I also got critics. The first moments are a bit difficult, but then I let it lay down on me and after a while I can see what I can learn from it. And that pleases me then too. 7. What do you do when you are not writing books? Any hobbies or projects you are particularly passionate about? I am a photographer, so that’s my big passion. I am also a women’s peace activist and member of Women in Black (WiB), an international network of feminists against violence and war and for peace. In Leuven we have a silent vigil every week. I like reading, watching TV, films and hanging out with friends and family. 8. If you could be any famous book character, who would you be and why? I like Pipi Langkous because she is so funny and full of energy and every problem is for her a challenge. 9. What’s the funniest or most interesting reaction you’ve had from people when you told them you were a writer? 10. If you could interview any famous person in human history, who would it be and what would you ask? There are different famous persons in human history I would like to meet, but if just one person, I would choose Maya Angelou. I would thank her for her poem ‘I rise’. 11. Would you like to add anything, share a brief sneak peek into your book, or send a message to the readers? Then the Margot books are really something for you! Have fun reading and looking at the pictures. Fact or fiction – FICTION Once I read in one of Alice Walker’s books that in fiction the facts are never finished, everyone can fill in what s/he see in the story or continue themselves. In non-fiction the story is sort of finished. Because I like facts, but also dreaming, maybe that’s why my stories have a mingling of facts and fiction :). Music or silence – SILENCE I like music, but I need silence too. I think I would miss silence more than I would miss music. Hook: A children’s tale where nature photography, friendship, diversity, fun, education and ice hockey come together. 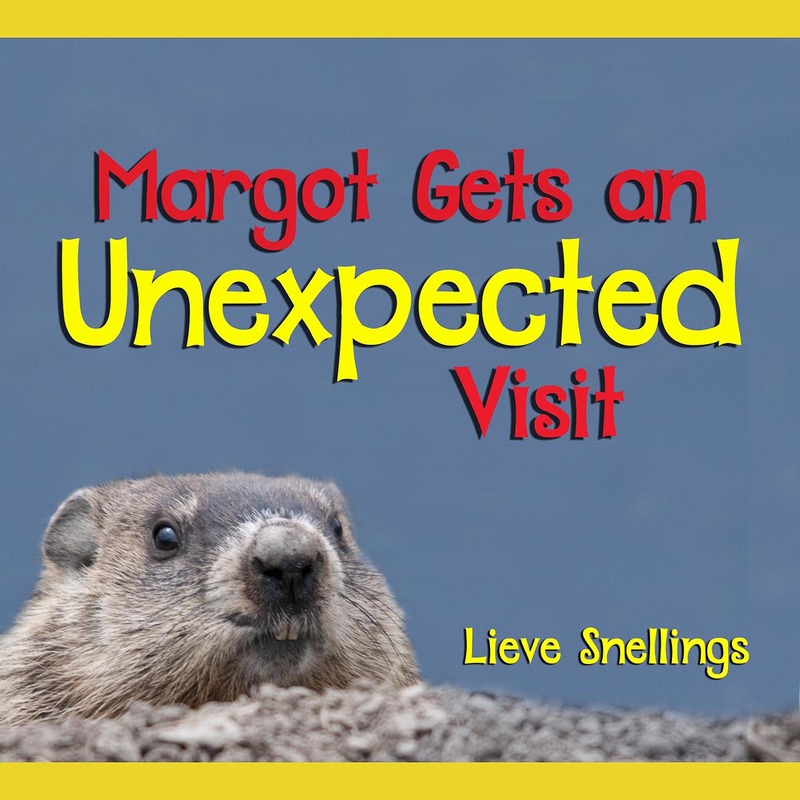 Blurb: As all groundhogs, Margot doesn’t like to have others around her. Certainly not humans. But is this also the case when she meets up with two little girls? You’ll find out in this book. You will also enjoy the unique and touching photo-images of nature in Quebec, and an unpredictable anecdote on the special haircut for ice hockey fans. 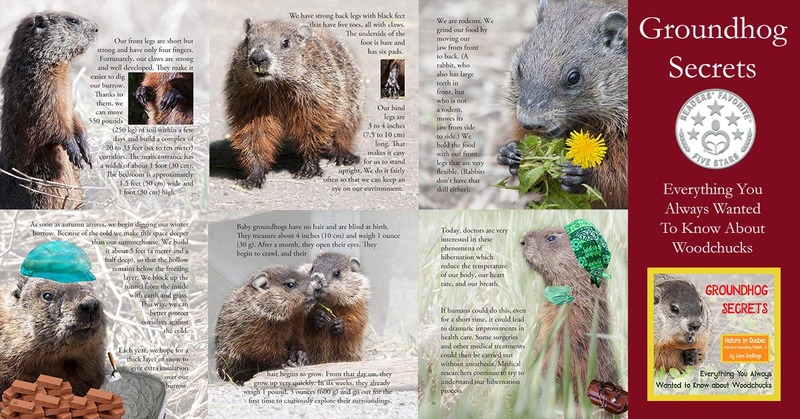 Hook: Discover the secret world of the groundhog through the eyes of Margo the woodchuck while gaining a close-up view of wildlife in whimsical photo illustrations. Blurb: Do you want to know more about the woodchuck? 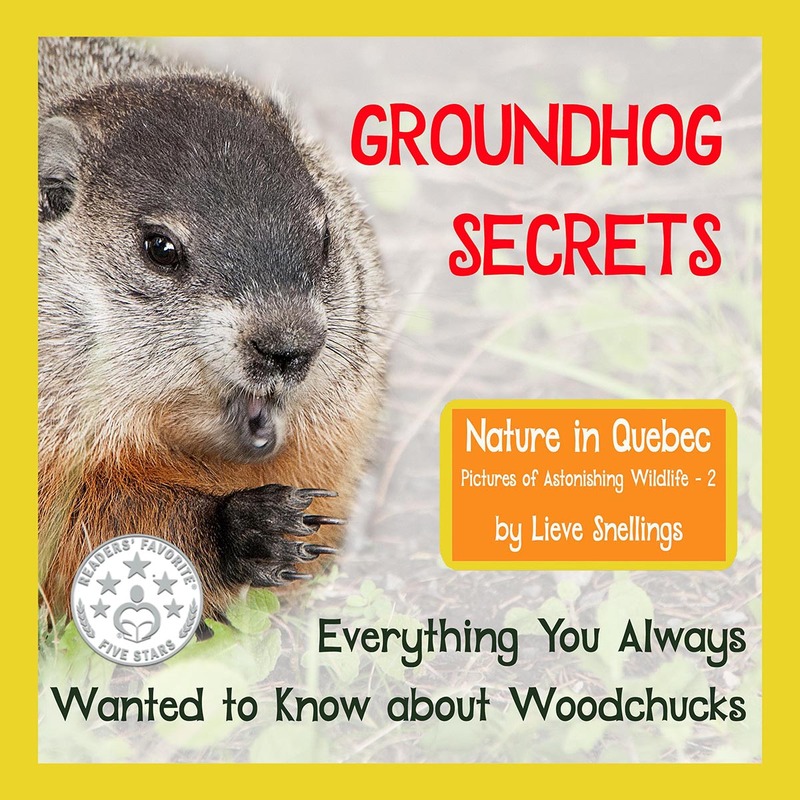 Then this book packed with information about groundhogs (who are also called woodchucks) is for you! Margot the woodchuck reveals all her secrets. She describes how groundhogs are born, what they look like and who is in their family. She talks about how they fill their tummies in summer and autumn, to store fat for the long winter months. Even medical doctors and scientists study the groundhog hibernation. Find out why in this fascinating illustrated book. It is wonderful to be able to interview author A. L. Mengel as he begins his 2018 book tour. I first met the incredibly talented creative genius of A. L. Mengel in the Awethors writers’ group and have since witnessed his fantastic progress in the world of fiction. 1. How long have you been a published author now? What’s your favourite moment or memory for now? I’ve been a published author for five years now. It’s really hard to believe. I remember sitting and tweaking my first novel Ashes repeatedly, readying it for publication. I had started writing that novel in 2002. Back then, I had dreams of being an author. But I was still so caught up with my young life. With the material world. And the quest for love. And experiencing human emotion. And relationships. Little did I know then, all of my experiences would come out in my written work in the future years. So I would write the story, originally titled The Last Nail in the Coffin, which was destined to become Ashes, bit by bit, over several years, on and off. Fast forward to 2007, I finished the story. I can still remember the day, almost 11 years ago, like it was yesterday. I could feel the tickle of a cold in my throat, and was elated to type the words ‘THE END’. The next day, I came down with the worst flu of my life. It kept me bed ridden for several days. Looking back on that, and after talking with others about The Tales of Tartarus series of books, there have been some that have thought the sickness could have been some sort of demonic influence. Ashes tells a very dark story, but it leads to the light and forgiveness. Demons don’t like that. They don’t want to lose their grip on you. And that’s really the goal of the entire series of The Tales of Tartarus books…in The Quest for Immortality, a character is racing against a certain death to achieve the gift of eternal life; in The Blood Decanter,those who have achieved the gift are under attack by an imposter – The Hooded Man – who is destined for their destruction by promising them salvation but giving them death. The book is a cleansing of the soul – as the blood “washes their sins away”. And then there is War Angel. Where redemption is found. Where protection is a right of the living and the dead. We all need to dispel our demons to elevate ourselves to a higher level of existence. The Tales of Tartarus did that for me. It may do that for others, as well. But my favorite moment? Memory? I would have to say the creation of #Writestorm. It was so sudden, so intense, and also so life-changing. Once I introduced the writing methodology to the Literary Community, it was quickly embraced. It’s become easily searchable on Google. The book was released and received stellar reviews. There have been others that have copied #Writestorm on Social Media. I’ve seen multiple groups pop-up since #Writestorm that discuss a similar philosophy – tweaked “just a bit”. But there’s only one true #Writestorm. And people know that, it seems. But the book wasn’t written for notoriety, money, or fame. It was simply written to help other authors get their books written and follow their dreams. And for that, I hope I will have created something that will endure. 2. What and how much has changed since you started publishing? How has your approach to writing and marketing changed? A lot has changed in the last five years. And a lot has also remained the same. I think, what has changed the most, is my approach to publishing. When I first released Ashes, I was so excited to release the book, I released it in parts, like the serial novels of yesteryear. It worked well initially, I could call myself a published author, people were reading the story and enjoying it according to reviews. I was happy. I was able to relive the natural high of a book release three more times until the paperback released in October of 2013. I still have copies of that paperback, which are now out of print. Amazon is offering it as a Mass Market Paperback, and some copies are going for up to $150 as that version has become rare. And Ashes was my best effort at the time. When I look back on that novel, I see a good self-publishing effort. But when I compare it to my novels of today, there really is no comparison. Ashes is a good story, and it got the high-end treatment it deserved in 2015 with the Special Edition, which is now the signature version. My approach to writing really remains the same. I follow a very specific…and rather archaic…process. When I start a novel, I start with a spiral notebook and a pen. I have to get my thoughts out on paper, and I have found it best to be away from the distractions of a computer to get that done. When writing the prose, I use regular old Microsoft Word. No fancy book writing programs for me. I write notes during the writing process on a rather large whiteboard that hangs in The Writing Studio, and I do something I call “scene mapping” on the wall on a space mural I have hanging. Usually, I divide a book up into four to eight parts, which each have their own subtitle. I’ve been doing this since Ashes. I don’t work with chapters. Each part of my novels has its own story that relates to the overall story arc. I print the part subtitles out on paper and hang them on the wall. I tend to use sticky notes, on which I will write the scene in one sentence, and move it around on the wall underneath the part where I think it best fits. But marketing is another animal. There’s a lot of authors and authors’ service providers that claim they have the answer, but for me, I am following in my predecessors footsteps who are now Best-Selling Authors. The Indie Author has to get out from behind the computer. At least if they want some sort of a level of selling success. Persistent and repetitive social media marketing really just turns into spam, which people tune out. That online marketing needs to be specific and targeted, and linked to something that page followers connect with. The goal is to get followers and convert them into readers. Getting page followers is the easy part. Just market your page on Facebook and they will come if you have a strong brand/product mix. But connecting with them is the hard part. I always check what’s trending, and also what is going on in the world to see how it could be linked to my brand. There’s a marketing opportunity in everything. I was recently out to lunch at a sports bar. When I was being questioned about my recently released novel The Mortician, it was decided on the spot to record a video, which was shared on my Facebook page. One needs to be adept at identifying marketing opportunities which are everywhere, and in places where you least expect them. And I have found, that page followers have been connecting with me more, increasing my engagement, as I get outside with the people and make videos and go-live with people-to-people interaction. 3. Who do you think your readers are? Do you write for a target audience or just any story that comes to your mind? My readers are a wide and varied bunch. In addition to The Tales of Tartarus, I also have The Vega Chronicles, my Science Fiction series. In addition, there is a series called The Astral Files with the release of The Mortician. The Astral Files is a spin-off from The Tales of Tartarus, and I expect it to be a long running series. Then there’s also #Writestorm. And there are thousands who are Beloved Friends of The Writing Studio on my Facebook page who have never read a word I have written outside of Facebook. My target market doesn’t really focus on an age group but rather a level of intellect. My novels are typically for a more sophisticated, thinking reader. My books usually have steady builds, and tend to get philosophical in the later acts. Some have told me they’ve read one of my books the first time to take it all in, and then a second time to figure it all out. Some readers can get frustrated with that. My books are not simple reads. Books of today spoon feed everything to the reader. My books don’t do that. The reader needs to think. To discover. And I am also getting known for ambiguous endings in some of my novels, which I write intentionally to encourage discussion and personal theories about the story. 4. What do you find interesting or challenging in using social media to interact with your readers and fellow authors? I recently was quoted on Facebook discussing Social Media: “Social Media is a smiling demon. It gains us readers, sells our books, and also robs us of our time.” It’s really true. Facebook, and all of Social Media, is a necessary evil. But the successful author will be resistant to its many temptations. It’s easy to get drawn into chats that have nothing to do with you or your brand, and even easier for time to get swallowed into lazy marketing of just blasting a book link around writer’s groups that will be ignored and prove to be a waste of time – even if it only took a minute or two. Because for the Indie Author, that minute or two blasting a book link to other authors who are busy trying to market their own work could have been spent seeking out true readers away from social media. People that will connect with you, face to face, and read your work because they know you in person. Getting away from the computer and away from Social Media, to connect with the people, is where the true success lies, and honestly, what the brick and mortars look for when arranging events and stocking titles. I’ve been vetted for Barnes and Noble recently, and was approved not only because of my well-established online presence, but also because of the in-person marketing efforts I have made. For the Indie Author, it all really depends on their own personal goals, but I know for mine, I look forward to my titles being stocked in brick and mortars. And that requires a lot of hard work beyond writing the stories. 5. You recently had an interesting tour with author Jeremy Croston. Can you tell us how it went? What was the most pleasant surprise about it for you? Oh yes! The tour is actually about to start at the time of this interview. It’s called “Take A Journey” with the hashtag #TakeAJourney2018. It’s a little different from the typical Author Book Tour. For one, it’s long running. It starts in February of 2018 and runs all the way to the end of October. That gives us the freedom to schedule event dates throughout the year without the tour seeming overwhelming. I’ve studied musicians for years, and how they tour, and have tried to emulate that touring formula. I think it can work for Authors as well. I think long-term touring…to represent our entire branding…could be the future for Authors getting their work out to the public. Brick and Mortars are still fading. But the best way to connect with potential readers still remains face-to-face. But arranging events at venues that may not be a book shop “official selling stop” can still build one’s market presence. Every tour stop should be embraced, because it’s an avenue to reach readers. So an author has to think outside the box. And that’s were Jeremy and I developed the “Author Discussion Series”, which will be a series of informal tour stops on our Book Tour that are at restaurants that have a topic of discussion that’s pertinent to creatives. That series won’t be selling stops, and they are being scheduled in-between the more formal, book shop selling stops throughout the tour. The “Author Discussion Series” stops are for creatives to get together and discuss the craft. Jeremy Croston and I happen to live near one another, and after he had read several of my novels, we agreed on a meet and greet in early 2017. Shortly after, we discussed touring together throughout 2018. I had learned about his Malice of the Cross release which seemed to pair well with my own branding, so we decided to do it. We met monthly for tour planning meetings since July of 2017, and have held almost daily conference calls in the early morning discussing the progress of venue selection and other creative things. We’ve held pretty strong to the monthly meetings and the conference calls. Planning a tour – a real tour – is an extraordinary amount of work. Getting venues will not come easily. A lot of doors will be slammed in your face. And you just pick up and move on to the next venue. What’s great is that we currently have 21 dates on the books between February and October through multiple cities. Hard work, and persistence, truly does pay off. The most pleasant surprise surrounding the Take A Journey Book Tour was the Go-Lives that we did promoting the tour, and the tour planning appointments. Our first go-live video was of me reading from Jeremy Croston’s Malice of the Cross and introducing it to the readers on my page, which has followers of over 6.7k. In just three days, over 1.4k people viewed the go-live. We were both elated. But it wouldn’t prepare us for what happened just two weeks later at our “Gods and Monsters” book tour planning stop. We went live again with over 6.1k views in four days and knew then that we were creating a buzz about the book tour. 6. What are your goals in writing? What would you like to achieve in the years to come? What are you working on now? Honestly, my goal is to make a decent living with my writing. Usually, with fame comes fortune, but that’s not my goal. If it happens, so be it, but I just want to do what I love, which is writing books, meeting with the people and touring, and starting the process all over again. One thing I would like is for my writing to endure for generations. I recently received, as a gift, a box of very old, quite rare books. I mean, they are from the 1800’s or older. Many of the copyright pages are written by hand. And that is what I am referring to. These are 150 year old books. I want to make sure that three generations from now, my books are still out there. That’s one of the reasons why I am gradually releasing each of my titles in hardcover. Most of my market is paperback readers. Not Kindle. But when I told my business advisor that I was releasing hardbacks, he didn’t understand why. But I’m trying to create a market for the hardback. And even if I don’t, each hardback that’s printed will most likely be around for a century or more. I’ve been taking a several month much-needed break from writing after The Mortician. That was the most personal book that I’ve written to date. Few know that I have several personal memories inserted into the story in various scenes. As a result, it was an exhausting write. I needed a break. I have a hard time moving from one book right to the next. I know quite a few authors do that, but I believe in a creative refueling period. We all have to go out and experience life again, once the book is written. Or else, how can we accurately depict characters in our future books? I’ve had discussions several times with other authors who don’t follow my philosophy of a creative resting period between books. Unfortunately, it seems many Indie authors are turning themselves into “Book Factories” by releasing book after book after book in a single year. In my opinion, anything over two releases in a year is too much. Readers get overwhelmed, haven’t had time to digest the previous release and the next one comes out, and the stories risk being underthought and underdeveloped. Currently, I am working on a Science Fiction epic which is planned to be released in two novel-length volumes: Part One and Part Two will released on the same day together, and they both will be novel-length books. I’m not mentioning the titles right now as they are “working titles” and could change during the creative process. I never would have been open to that wave of inspiration had I not been on a creative break and experiencing life. My aunt passed during that time, and her love of my science fiction inspired the new epic novel. Taking a break from the writing is necessary. It opens the mind, and the outside the box thinking really begins. 7. What would you say to your younger self, the aspiring writer just learning about the publishing world? I would say do exactly what you are doing, and keep learning from those who have gone before you, because it’s going to lead to something greater. In half a decade, you’re going to be touring kid. Keep at it. 8. What’s your favourite thing about your latest published book? The most favorite thing about my recently release novel The Mortician has to be the transitions in the story. I really loved how they came out. The Mortician takes place in two separate time periods with two protagonists and two separate and complete casts. I was challenged as a writer to link the storylines together without confusing the reader, and as I write in parts rather than chapters, I had to find a way to move back and forth smoothly. The two separate storylines and two casts of characters were running concurrently. The reader needed a smooth transition from one time period and cast to the next. And I love how it was done. I used art, photos, music and photography to transition the story from one setting to the other. For example, a piece of music might be playing that one character experiences, and then the story transitions to another character in a different time period listening to the exact same piece of music, separated in time by decades. I also really loved the cover. Shoutlines Design did the cover, and they sent me early renderings in April of 2017. We tweaked it over the next several months, and the final version was released on Halloween 2017. As I drafted the manuscripts, I incorporated elements of the cover so the cover represented scenes from the story. I love creative collaborations like that. 9. Is there any famous person, real or fictional, dead or alive, who you would like to discuss your novel(s) with and why? I’d really love to get both Stephen King’s and Anne Rice’s opinions on my novels. I’d like to think that I am embracing my own branding, characters and storytelling style, but following in their footsteps in some way. I read novels from both of them in my younger years, and I believe their work has influenced my own in some ways. 10. What are the most excruciating and the most exhilarating moments about writing for you? Oh, wow. That’s a tough one. Because writing can be a very challenging experience for me. But so rewarding. I’d say the most challenging part of my process comes towards the middle. When I have quite a bit written, and I have to make sense of it all, and smooth it out to form a story. It’s a period during my creative process that I can “Story Structure”. It comes after the main scenes have been written, the story, at least for the most part, is there, but usually it’s akin to an unfinished puzzle. Pieces are spread all over the place, and each piece (scene or passage) needs to be closely examined to see where it best fits into the overall puzzle, the story in this case. It’s a point in my process where my word count will expand rapidly. During this period, as the scenes are spliced and placed where I believe they best fit in the story, I then will fill holes, bridge gaps, and write smoothing sequences to build flow in the story. While the most tedious and challenging period of my process, it’s also one of the most rewarding. For this the stage where the story really comes to life for me, where it starts to flow, and I can see a true beginning, middle, and end. But the most excruciating? I can still remember the most painful scene I have ever written, and it was a death scene in War Angel. I was pantsing my way through a passage, and the death really caught me off guard. It was violent, sudden and intense. And it was a major character that I’d only been writing about for a short while. When I saw the visual of gigantic, blood-stained angel wings, reaching up towards the Heavens in a mark of desperation, I could feel tears start to stream down my cheeks. It was just so tragic. So unexpected. It pained me to reread what I had just written. I had to stop writing that day and called my editor. She suggested to take a break, and I didn’t sit back down with the manuscript for several more days. I had to mourn the sudden passing of that character, whom I had loved so much throughout the story up to that point. Now the most exhilarating experience for me, and I think most authors would agree, is holding a book in my hands for the first time. That amazing feeling just doesn’t go away, even with my seventh novel recently in print. Every time I open the box of the first printed copies, I can feel the excitement build. With my science fiction novel The Europa Effect, I opened the box and examined the first proofs on video, and shared it on my Author page. I got some great comments where the viewers said they could see how my face lit up when I opened the box. I think that’s a feeling that will never go away. It’s one of the most exhilarating points in my process, also one of the most rewarding. It’s where I have created something physical, something that I can hold and touch. I can look at it , as something that I’ve created that will most likely spend more days on this planet than I will. And by holding the books in my hands, by feeling the pages, and the binding, smelling the paper, and running my hands over the covers, I know that I’m creating books that will endure. Yay, I managed to persuade Suzi Albracht to do a brief catch-up interview, as I have already been honoured with having her as a guest several times. So wonderful to celebrate women writers in horror by hosting a very kind lady, but scary author – Suzi Albracht. How long have you been a published author now? What’s your favourite moment or memory for now? I first published in 2014. My favorite memory of that was the moment my first book was purchased. I still remember to this day, watching my ranking number plummet by the minute when suddenly it soared back up – a book had been purchased! I lived on that thrilling surge for a couple of hours before my ranking went plummeting again. But in those few hours, I realized that had DONE IT! Me… published… it was real. I still love that moment. What and how much has changed since you started publishing? How has your approach to writing and marketing changed? I would say that there are far more books swarming out there trying to grab attention so it’s tough to get people to look. I find that once they do actually read one of my books, they tend to like it. But it’s still hard to keep readers unless your work at marking more than 24/7. Over time, I have fine-tuned my marketing approach. I now use more dramatic graphics and I switch them up, a lot. Who do you think your readers are? Do you write for a target audience or just any story that comes to your mind? My readers are those who like psychological fear, readers who like to think, readers who want a bigger thrill than guts spewing on the floor every other page. And now that I’m writing romantic ghost stories, I find that my readers like to be familiar with the locations used. I would have to say that I write the stories that I want to write but I keep in mind my readers and make sure to add little tidbits just for them. What do you find interesting or challenging in using social media to interact with your readers and fellow authors? I belong to several writers Facebook groups where we retweet each other. I often find myself wanting to give feedback to my fellow writers to help them improve. But I find that has not always gone well. I now accept that everyone has their own way of doing things. There are a number of writers I talk to online regularly, I think we are kindred souls. But the biggest challenge I have in online marketing is the time it takes to do it. I resent that it takes me away from an exciting chapter I am writing. However, I am adult enough to know that It is a necessity. What are your goals in writing? What would you like to achieve in the years to come? What are you working on now? I currently have four fiction books completed and published. I would like to create as many books as I can in a reasonable amount of time. I tend to take longer on my books than some people. I truly don’t understand those who published a book every four weeks. It takes me that long just to do final edits. I think writing is like a good cut of steak. It needs to marinate some before it becomes a fine piece of writing that is unforgettable. At this moment, I am working on The Devil’s Huntress which is book four in The Devil’s Due Collection. At the same time, I am working on The Siren of Diamond Shoals, which is in An OBX Haunting collection. Right after those two, I will work on a political thriller that has been marinating in the background. I also have another ghost book, a stand-alone that is different from my other stories. What would you say to your younger self, the aspiring writer just learning about the publishing world? Be patient. Be yourself and never, ever give up. By the way, apart from keeping readers on their toes with her intense stories, Suzi also designs and redesigns covers, and not just her own, so feel free to drop by her book cover site – www.wickedlyawesomedesigns.com . A few days ago I had the pleasure of introducing the latest children’s book by award-winning author Wanda Luthman, and today Wanda is here. Wanda Luthman has her Masters of Arts in both Mental Health Counseling and Guidance Counseling from Rollins College located in beautiful Winter Park, Florida. She has worked as a Licensed Mental Health Counselor, Adjunct Professor, and Hospice Counselor for teens. She’s currently a Guidance Counselor at a local High School. She is an award-winning, best-selling, international author who has self-published 5 children’s books (The Lilac Princess, A Turtle’s Magical Adventure, Gloria and the Unicorn, Little Birdie, and Franky the Finicky Flamingo). She belongs to the National Pen Women Organization in Cape Canaveral; the Florida’s Writers Association; Space Coast Authors; and Brevard Authors Forum. She presently resides in Brevard County Florida with her husband of 22 years and 2 dogs. Her daughter is away at college, like Little Birdie, she has left the nest. To download a free ebook, visit Wanda Luthman’s website at http://www.wandaluthmanwordpress.com and follow her on Facebook at https://www.facebook.com/wluthman. Hi, thank you so much for having me here today. I think the most important things to know about me are that I’m a mother of one child and a step-mother of four children and a step-grandmother to 2 children. I love my family. My parents are still alive and are married to each other. I enjoy the outdoors and animals, especially dogs and cats. I am a Christian and love God and participate in daily meditation to deepen my walk. When I was a kid, I went through various ideas of what I wanted to be but finally decided on being a therapist. I went to college for that and then got my masters and worked in the mental health field for 10 years. Then, I transferred to a school setting so I could have a schedule like my daughter’s. I didn’t become an official published author until after my daughter left for college even though I had been writing my whole life. I remember when I first started calling myself an author, it felt strange but also like I had finally come home. I was finally at home in my own skin. 3. Why do you write?What’s the most challenging aspect of your genre? Which genre can you never see yourself writing and why? How do you feel when you write? Is there a special ritual to it, a playlist, place, company, technology? 4. Tell us more about your book characters. Who inspired you for the heroes and villains? Who is your favourite character and why? I have two female heroines and then three animals as main character. Dreama in the Lilac Princess is strong-willed and determined which, of course, gets her into trouble, but is also what gets her out of it and helps to save her kingdom. Gloria in Gloria and the Unicorn has a facial disfigurement and believes she is unlovable but through the help of a kind unicorn, she sees herself differently and learns to love herself and becomes key in helping to save her unicorn friend from danger. Tad, the turtle, in A Turtle’s Magical Adventure, doesn’t like his shell because it makes him too slow. He takes some bad advice to go see the wizard to have it removed. He means some other wonderful creatures along the way that help him to see his shell as the blessing that it is. Little Birdie in Little Birdie Grows Up is a spirited little bird who upon entering the world longs to learn how to fly. He is determined and eventually realizes his dream. Franky in Franky the Finicky Flamingo appears to be a picky eater because he doesn’t like the food that other birds eat. It takes a wise owl to help him discover the right food for him. My favorite character is always the last one I wrote about which, right now, is Franky. I love his bow tie and beautiful pink color and that he keeps trying different foods to see what he might like. I edit quite a bit after I’m done and then I have several online programs I use to help me catch weak works, overused words, and to keep my sentences short, etc. Then, I have a few beta readers that help me tweak it even further. Then, off to my editor who is worth her weight in gold. I love positive reviews because it validates me. Since I don’t have formal training, I don’t really know if I’m hitting the mark or not. After winning the Readers’ Favorite Award in 2017 for Little Birdie Grows Up, I finally felt like a real author. As people who don’t know me react to my book in a positive light, I know I’m getting it right. I ride my bike. I swim. I walk. I enjoy the outdoors. My two lovable yorkies, Scruffy and Tessa. And I have about 15 feral cats that live outside. All are fixed. My neighbor and I took them on as a project when two female cats showed up pregnant around the same time. It took time to tame them and their babies and then catch all of them and get them spayed and neutered. My favorite book character is Winnie the Pooh. He’s so cute and cuddly and loving. And he loves his honey which I would have to trade out for chocolate but he’s my guy. 9. What’s the funniest or most interesting reaction you‘ve had from people when you told them you were a writer? Most people are super supportive and tell me congratulations, but it’s always interesting the people who also want to become writers. They will usually start telling me a book idea. I love being an inspiration to them and offer to help in any way I can. Jesus and I’d ask how is this thing going to end. I really don’t want to be here for all the trouble, just saying. Because of my background in psychology and guidance counseling, my books while being magical adventure stories also include positive social/emotional messages in them such as forgiveness, perseverance, and self-acceptance. I want children who read my book to come away better than they were before. Dogs or cats Love them both! Indoor or outdoor I love the outdoors but I’m definitely not a camper type person. I love the comfort of a bed and air conditioning. I live in Florida after all. Ocean view or mountains I love the ocean. Water soothes my soul. Books or movies I love to read, books! E-book or print I prefer print but have gone to ebook lately because I’m running out of shelf space. Teach or learn Learn. I’m a sponge. I love to be challenged mentally. It keeps me sharp and on my toes. 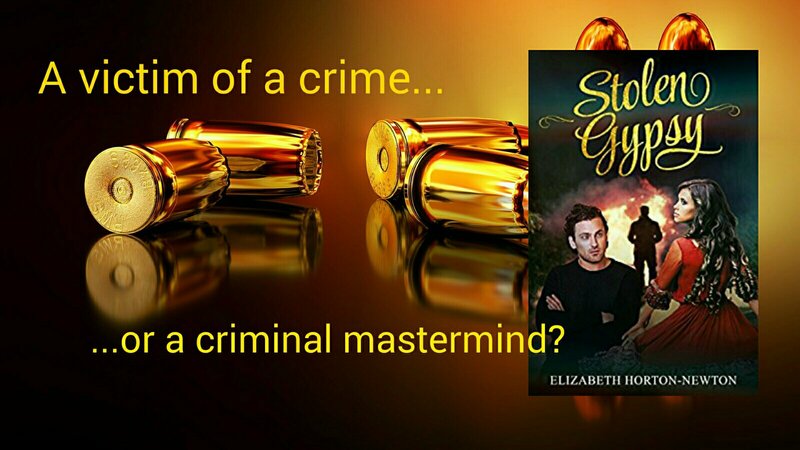 Romance or crime Romance. I’m a hopeless romantic. Due to popular demand, my first author interview series is continuing. 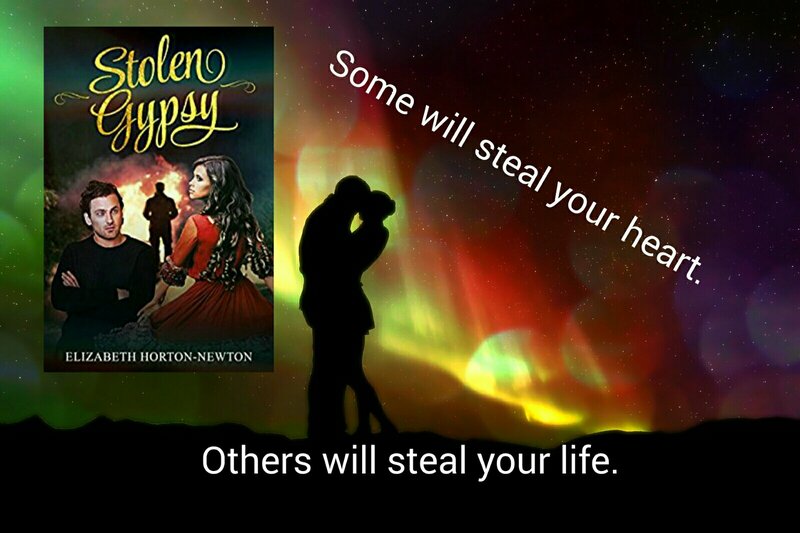 I hope it gives you a chance to meet some interesting new authors, or to find out more about the ones whose books you have already read. 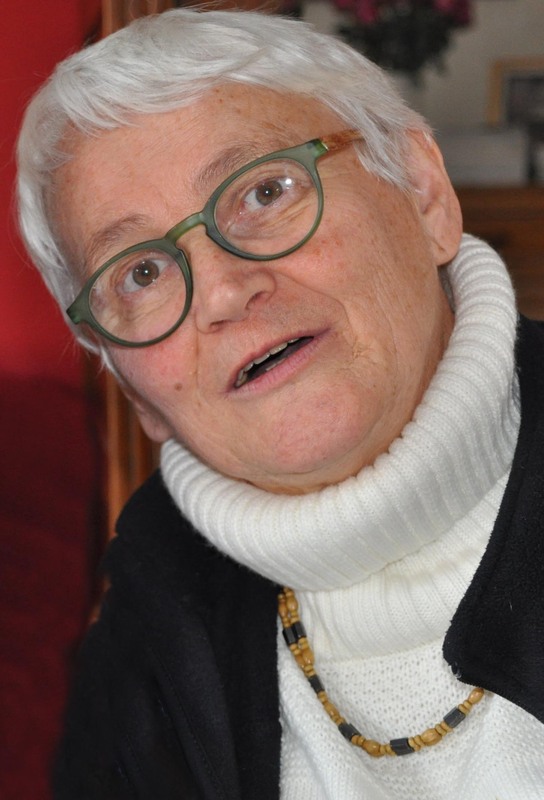 Today we are joined by Ellen L. Buikema. Thank you very much for your time, Ellen. I am a writer, speaker, educator, and mom. I graduated from the University of Illinois at Chicago, received a M.Ed. specializing in Early Childhood, and have post-graduate studies in special education from Northeastern Illinois University. I worked as a teacher for 23 years. During the school year I have the pleasure of being a visiting author, either in person or via Skype. I usually visit with students in Pre-K through fourth grade, although I have spoken with students through eighth grade. 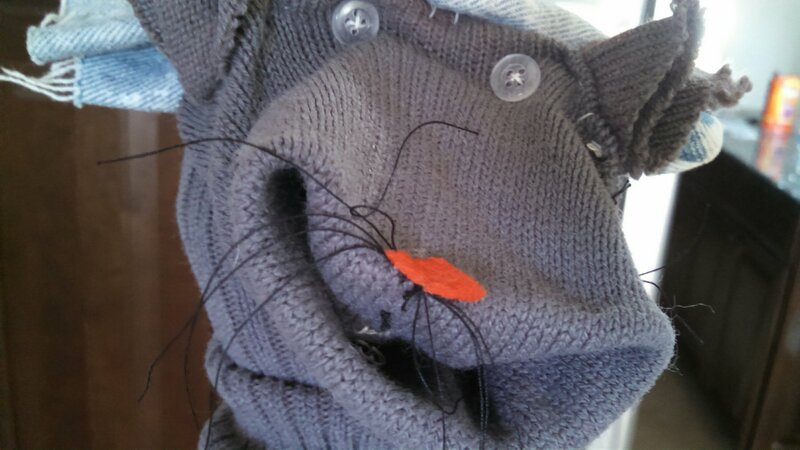 For Pre-K through first grade I bring Sock Puppet Tim along to help. He is a well-loved addition to author visits as he is funny and helps maintain students’ attention. Favourite song/band/musician: I have an eclectic taste in music, so there are too many to mention. Patience, persistence, love of children and animals, creative, humorous. 2. ​When you were a kid, what did you want to do in life as an adult? ​Can you remember the moment you realized you had become an author? How did it feel to transcend from that point when you just wrote for yourself to the point when you realized this was what you wanted to do full time? My mother told me that when I was three-years-old, I lined up all my dolls and conducted school. However, I didn’t become a teacher until after I had my own children and decided that kids are awesome. I knew I was an author when I held my very first proof in my hand. Until then it wasn’t real. The physical book made it truly real for me. It felt great! 3. Why do you write?What’s the most challenging aspect of your genre? How do you feel when you write? Is there a special ritual to it, a playlist, place, company, technology? I write to get the ideas out of my head and to keep the characters quiet. I’ve had characters request name changes, as odd as that might sound. One insisted on being named Hugo. I write on a laptop on our dining room table. 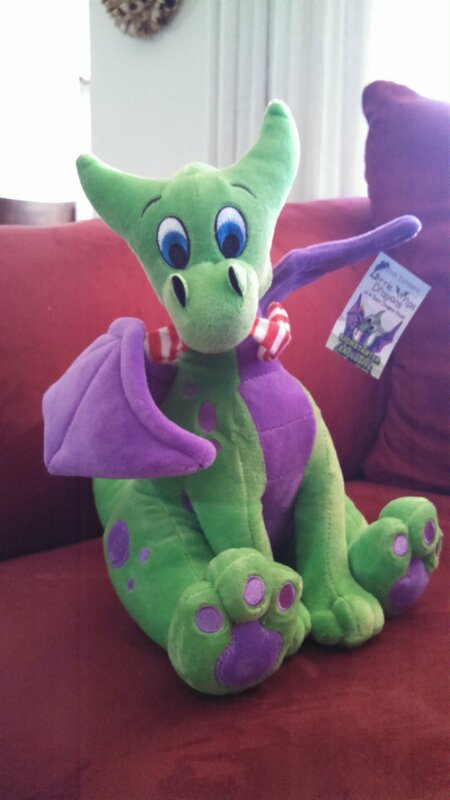 A foot tall, plush dragon named Nom Nom, as in nom-nom I just ate another faerie, sits across the table as I write. Currently, I am writing my first YA historical fiction novel after writing a children’s chapter book series. Two more are written, making it a series of five. I find the change in genre isn’t as difficult as the age change. This genre requires a great deal of research, so I am having fun talking to people all over the country about trains, hobos, and specifics about some cities and towns. I spend an hour on the phone with the owner of a bar in Wausau, Wisconsin, the location of the story’s beginning. She was able to give me details that make a huge difference in the setting for one part of the story. My list of acknowledgements is growing all the time. 4​. Tell us more about your book characters. Who is your favourite character and why? There is a little bit of me in the majority of my characters. 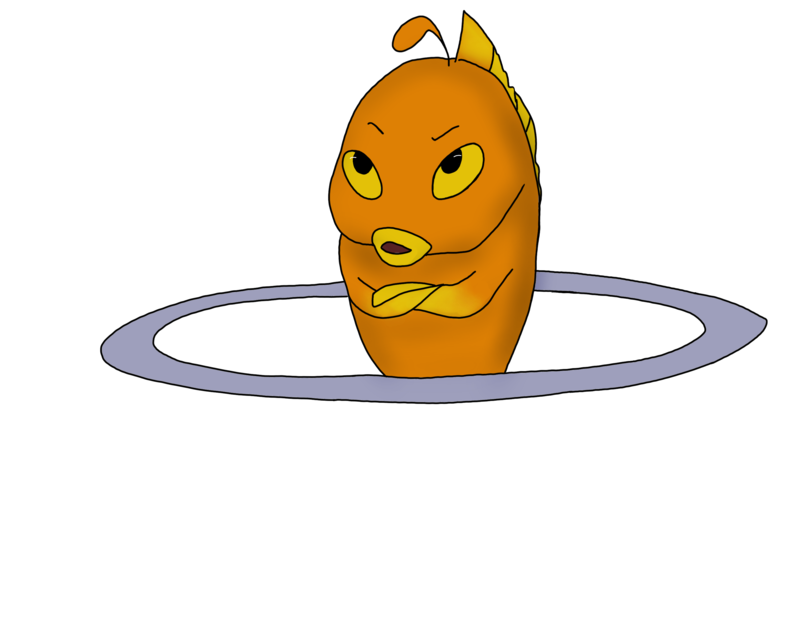 My favorite character in The Adventures of Charlie Chameleon series is Frankie, the worlds most obnoxious goldfish. He is the main character’s pet and a wonderful comic relief. Of the characters in The Hobo Code, so far I am most fond of Hannah. She begins the story as a feisty, eight-year-old who loves art, puts up with her older brothers, and is quite stubborn. Wow! Editing is so important, too much for just one person. I go to two different critique groups, have beta readers, and use professional editors as well. I do not mind editing and find many of my errors when I read the chapters aloud, but I never, ever find all the errors myself. Positive reviews are awesome and appreciated. They do keep me writing. When I get a negative review, I read it with an eye towards making a better story if the comments are constructive. If the comments are a bit off-the-wall, I read the reviewer’s comments of other authors’ works to see if there is a pattern. Sometimes people don’t like my work, preferring other genres and writing styles, and that is fine. Differences of opinion are to be expected. No one that I know of enjoys all genres and all styles of writing. When I have a bit more time, I plan to go back to drawing and painting. I love art in its many forms. I can carry a tune and love to sing. Maybe some day I’ll learn how to play the guitar. Right now I am working on fluency in Spanish. I feel it is important to speak more than one language. 8. What’s the funniest or most interesting reaction you​’ve​ had from people when you told them you were a writer? I have been looked at in awe and asked for my autograph. A few students have asked me if I am wealthy. I find that amusing. 9.​ ​Would you like to add anything, share a brief sneak peek into your book, or send a message to the readers? Here is a snippet from The Hobo Code. Most of the story is in Jack’s perspective. This is a Hannah chapter. John Schmidt opened the front door and herded his children into the largest building they’d ever seen. They entered a cheerless hallway of bare, drab-colored walls. I think if people stared at those walls long enough, they’d lose their imagination. Wooden cane chairs and a few stark benches leaned against one wall. “Sit here while I speak to someone in charge.” Their father walked into the main office, directly across the hall from the uncomfortable bench Jack, George, and Hannah occupied. The three children sat together, carpetbags on the floor in front of them, and waited to learn their fate. They were being watched. A man dressed in dark pants and a blue work shirt, washing the floors, whisked his mop in their direction with a practiced rhythm. Every now and then he’d flick his brown hair back and sneak a peek. He licked his lips. The corners of his mouth tilted up into a leering grin. I don’t like how that creep is staring at me. The closer he came, the greater Hannah’s urge to either smack him or to grab her brothers and run. The creep was a few arm’s length away when John exited the office of the headmistress, followed by a tall, silver-haired woman in a waist-cinching, long black dress that swept the floor has she walked. The creep looked away and mopped in the opposite direction and down another hall. They sat frozen on the bench. The willowy headmistress bent down and shook their hands. It was like shaking a fresh-caught fish—moist, droopy, and cold. To end this challenging year, there is nothing like having a guest over. 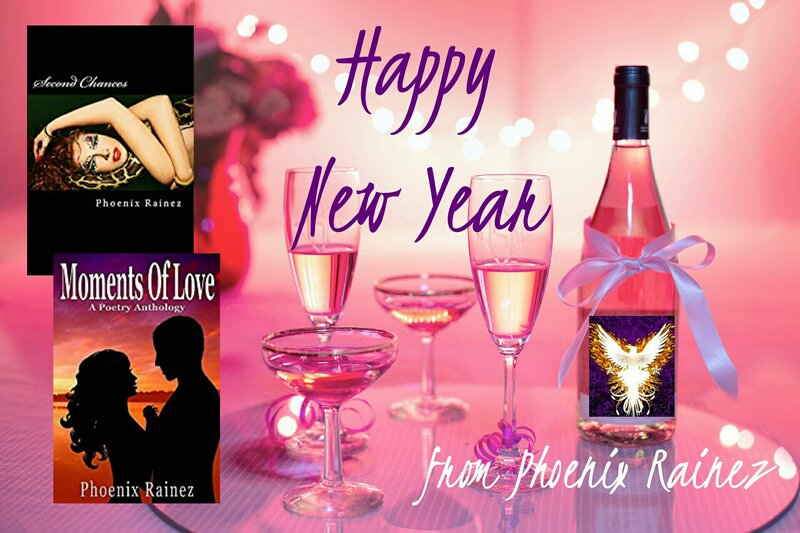 A romance author with a kind heart, Phoenix Rainez will make this transition from 2017 into 2018 smooth and gentle! 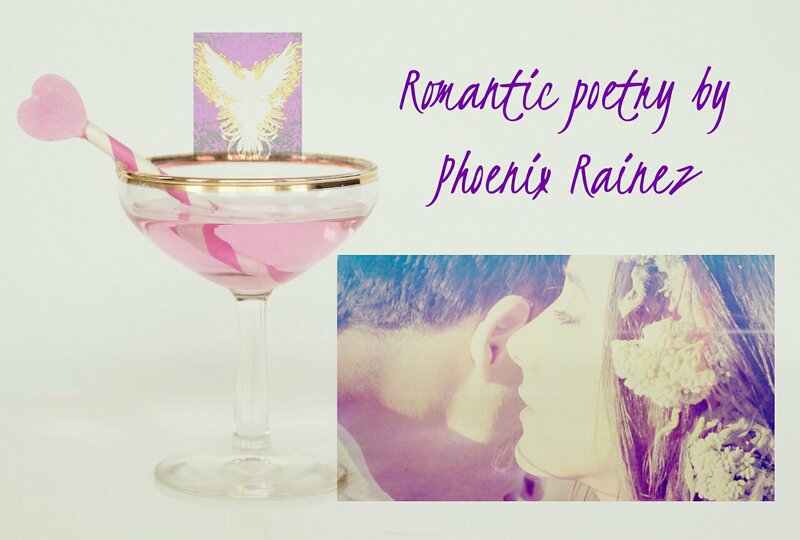 Here she is, sharing with you some of her latest poetry:). 1. Do you have a favourite winter holiday story? No favourite winter holiday story, but my favourite holiday film would have to be LOVE ACTUALLY. I have so many books in my collection still to read, I honestly don’t have time to re-read any of the books I’ve already read. 2. Which character from a holiday story would you like to be? I think I’d love to be Elsa from Frozen. 3. What is your ideal way to spend Christmas Eve this year? Curling up with a good book all day in my pj’s and a steaming mug of hot chocolate. 4. 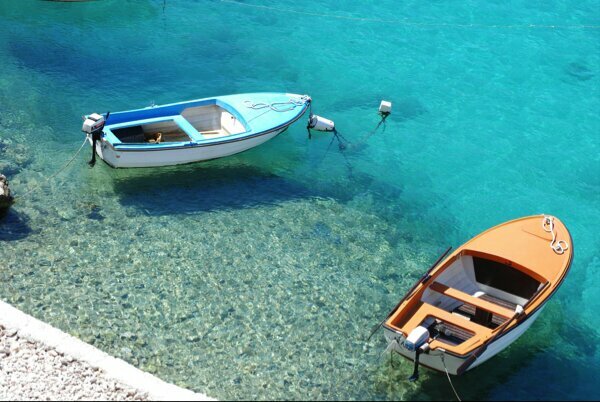 If you could travel anywhere this winter, where would it be and why? I’d love to visit Lapland during a winter holiday season. 5. What would you like to ask your readers? I’d like to ask my readers if they think a companion novella is a good way to introduce other characters in the story. Do share a sneak peek into your current work in progress. My present work in progress is my poetry book. Give us a riddle to your wip. When you need to share a secret quietly you …. Where can we follow your progress? What’s the blurb for your work in progress? No one asks to fall in love, but sometimes it happens, and the timing is all wrong. So, they wish upon stars for a love they can’t hold, and whisper their love on the wind, across oceans that keep them apart. MY HOLIDAY WISH for my readers is that they find the time to read all the books they want to, not only over the holidays, but all year through. Thank you, dear Phoenix. May your 2018 be a happy beginning to a new adventure! The Writer’s Gift is a little present that keeps on giving – my blog feature gift to the authors you should know about, and their gift to you as their (potential) readers. 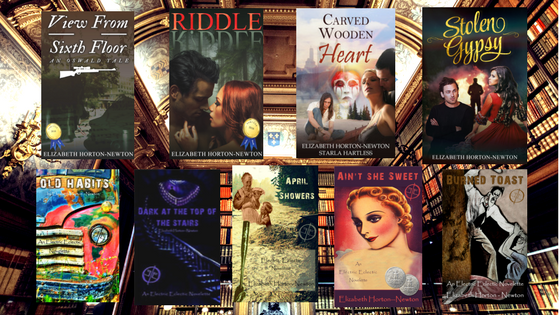 Find out more about some wonderful authors you may not yet have heard about, and enjoy a free sneak peek and riddles for their latest book or even a work in progress. Feel free to leave a comment and share the posts during the upcoming holiday season. 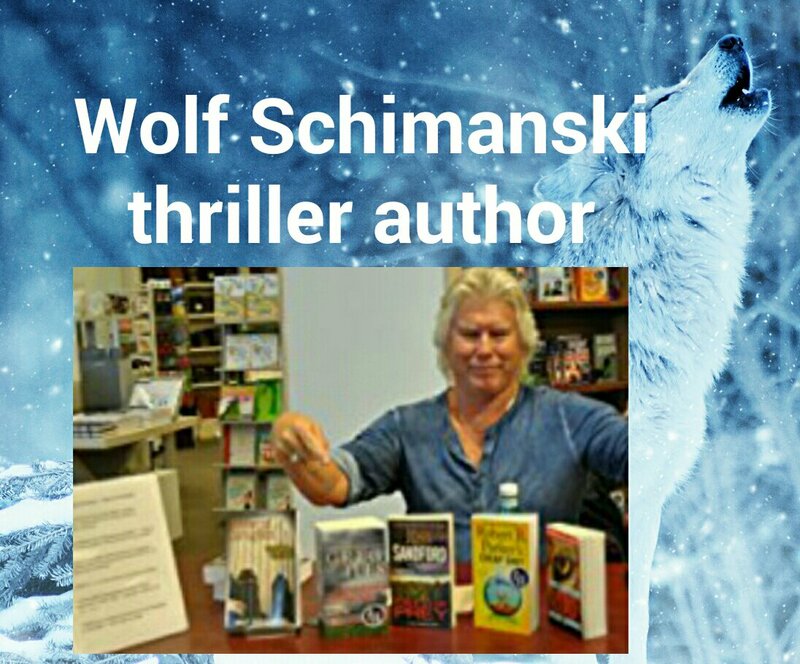 Here to start off this pre-holiday series is thriller author Wolfgang Wolf Schimanski. 1. What is your favourite winter holiday story you have read and like to go back to, and why? I just read Robert B. Parker’s Silent Night written by his literary agent Helen Brann because Robert passed away in 2010. Helen did an amazing job and kept Robert’s spirit so much alive. 2. Which winter holiday character, custom or decoration would you like to be and why? Scrooge, I am not at all like that but it sure would be a wild ride seeing the things he was shown. 3. What is your absolutely the most favorite thing to do during the winter holidays? 4. If you could travel anywhere in the world during the winter holiday season, where would you go and why? See 3, Why? Because its the greatest place on earth. When Hurricanes are not barreling down on it of course. I am going back to Margate, Florida in early December to spend a bit of working time with my writing partner and her wonderful family. To read all of my ‘Meter’ trilogy so they can really get a full concept of what it’s really all about and to support all of us ‘Indie’ authors as we really do what we do for them…. 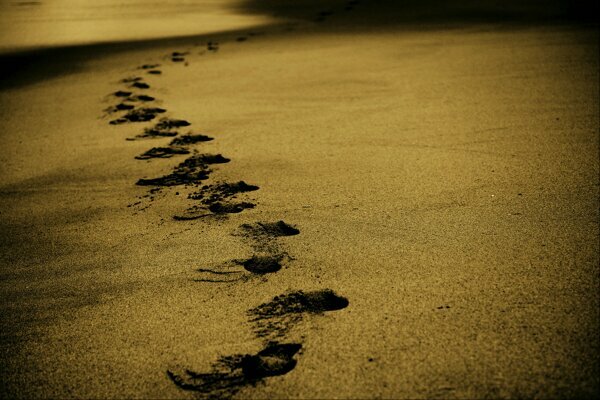 I have asked the authors to take these 4 little steps for you;), readers, about their latest book or work un progress. What does the Monster ‘Mikhail’ call adversaries or anyone other than himself? 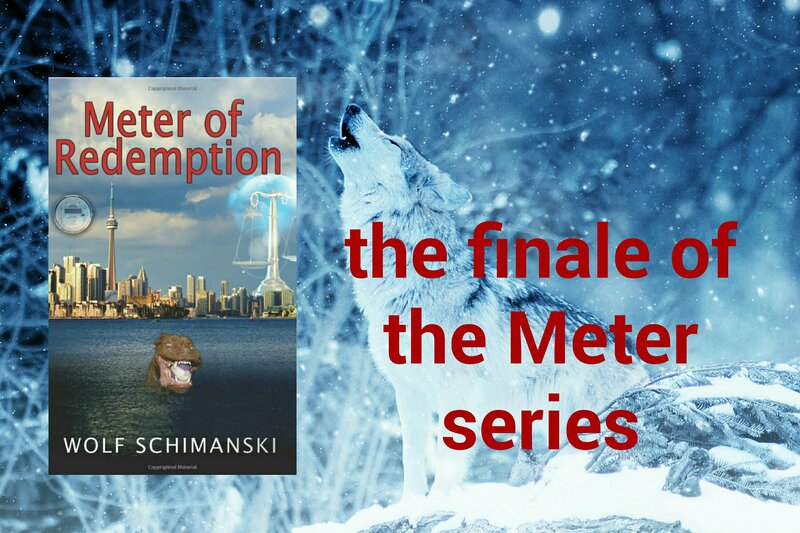 This completes the ‘Meter’ trilogy, the story of four friends who get entangled with an evil, intrigue, and adventure they never bargained for. The story is based in Toronto, Canada and wraps up the battle with the diabolic Richard Rasmussin, a vicious underworld figure who will stop at nothing to amass wealth and power. Mikhail, the Ninja adversary from the first two books aligns himself with our heroine Angel as they slowly pick apart Rchard’s empire one piece at a time until the final confrontation occurs. Will Angel and Mikhail and their friends survive? Yours to discover….. The only thing that was left to do was dispose of the reason for them being there in the first place, Herr Eberhart Klingebiel, himself. The dog, even more strangely, stood beside Angel and allowed her to scratch its huge neck while Mikhail calmly walked into the bedroom. Klingebiel was obviously in his deepest sleep, judging by the chainsaw snoring and grunting coming from him. The Assassin put one huge paw around the slumbering sleaze ball’s neck and squeezed the life right out of him in seconds flat. I wish you all a peaceful and safe time with your families. Christmas is not about presents or commercialism. It’s about love and friendship and comfort and joy and the birth of a very special baby. Cheers! Thank you very much, Wolf, for starting off this series of Writer’s Gifts and taking the time to share your thoughts and work with us. 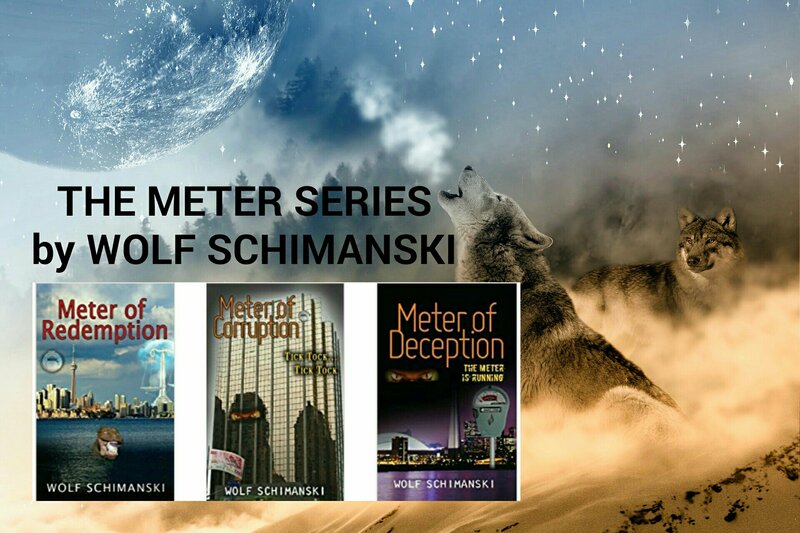 Readers, if you enjoy fast-paced, no-fluff cliffhanger thrillers, drop by Wolf’s site and read all about how he measures justice in his Meter series! 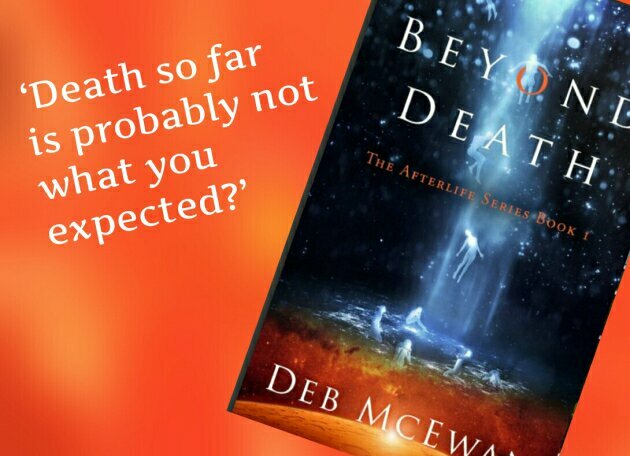 Today I have another wonderful guest – award-winning author Deb McEwan. She opens up about a number of things in this no-questions interview where I ask authors to write down what some key words mean to them. Thank you, Deb, for taking the time to do this. ​Dreams – I’ve had vivid dreams for most of my life. There’s nothing worse than somebody telling you they had a weird/bad/whatever dream the night before then going into every single detail. For this reason I won’t bore you with my dream stories, suffice to say that I’ve been woken up for shouting at or hitting my husband due to something that’s going on in my head while sleeping. I often nod off again and return to the exact part of the dream where I woke up – like an episode in a series. My husband is very happy that I now write novels. I don’t dream like I used to and wish I’d known years ago that writing was the creative outlet I needed to stop the weird or frightening dreams. I only want to know about your dreams if they are uber original or unusual. Any takers? 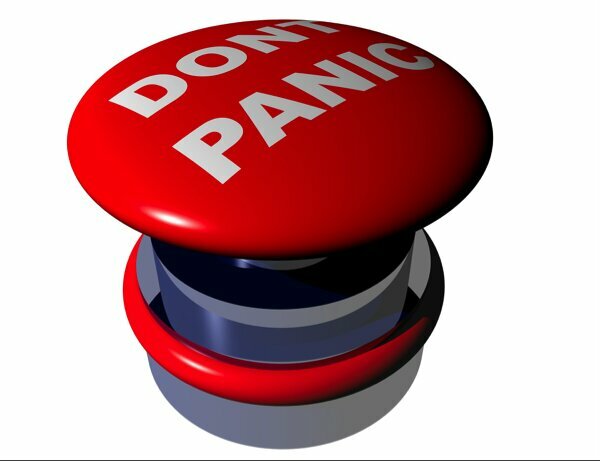 Stress – The good or the bad? Let’s take the good first. Anything that takes me out of my comfort zone and it’s not only physical like abseiling or a tough session with my personal trainer for example. (Though it’s a while since I’ve done any abseiling). Giving a presentation to a room full of people or the final minutes before a job interview are the situations that normally cause my good stress. I usually enjoy the buzz after the event! Like most people, I don’t thrive on bad stress generally caused by having unrealistic deadlines thrust upon me, the thought of having to do housework or having to attend health and safety lectures. I might have mistaken the latter for boredom and don’t have to attend health and safety lectures these days. This sounds flippant I know and there are plenty more triggers that cause bad stress. I’m a bit more serious about this under the Journey heading. Release – Sport or walking generally does it for me. Any tension melts away following a good workout. The ideas floating around in my head always take shape during a long walk and it’s my way of either escaping from real life, or working through any problems. Support – You sometimes expect support from family members but can’t beat the support of your good friends who choose to be there for you. As far as writing is concerned, the Indie Author Community are a marvellous bunch, who help each other without expecting anything in return. Model – the first image that springs to mind are the waif-like serious looking females who strut up and down the catwalk. Images of these ladies have been blamed for many eating disorders in young girls who aspire to be super skinny. I read something the other day that models in France now have to have a healthy BMI before being employed in the industry. Don’t know if this is true but I hope it is. Should the model industry reflect all different shapes and sizes like the real world? You tell me? Journey – When I was younger I discovered I had a 50/50 chance of inheriting the Huntington’s Disease gene. There are so many awful illnesses and diseases but I believe the worst is the one that may affect you, your family or any others you love. The relief of discovering that I didn’t have the gene was tempered by the guilt when I found out that other family members did. Up until that point I’d always thought I wasn’t good enough to do many things, including writing. Discovering that I wasn’t going to die from Huntington’s was a major turning point; I felt like I’d been given another shot and now embrace life to the full. Issue – Writing. My characters talk to me all the time and the urge to get their words onto the computer is simply irresistible. Some believe there’s a reason for everything and that everyone is connected. Maybe this makes it easier to understand seemingly random events? Nobody knows for certain. Isn’t the majority of science best guess? Joy – Loads spring to mind. Spending time with the people I love is top of the list. The sun is shining and birds are chirping away to the background music. I’m chilling with the people I love (husband, family, friends) in the pool and a glass of something is waiting in the fridge, for when I/we dry off. Then there’s the random stuff like hearing children giggling, reading a fab book, or having a good old belly laugh. Haven – Don’t know why, but I’ve always loved being around water. Walking in the rain, cwtched up at home reading while it’s raining outside, listening to the sea, taking a long shower, sitting under a tin roof listening to the rain. I think you’ve got my drift. 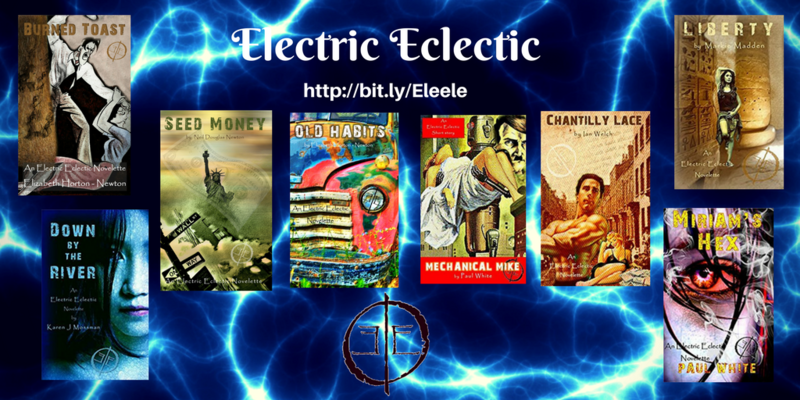 I write in various genres. It all started with songs, followed by a book for children. The first, ‘Reindeer Dreams’, is a quirky rhyming Christmas story featuring Barry the reindeer and his family. My books for grown-ups started with the Aliens series. The Afterlife trilogy came next with a few ‘Jason the Penguin’ books in between. 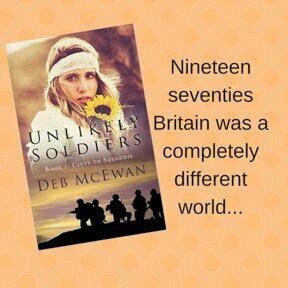 The first book in my ‘Unlikely Soldiers’ series (free on Amazon, iBooks, Kobo and Nook) is set in 1970s Britain, with others to follow through the decades. I’m currently working on a story about netball players, due out in the autumn. Thank you so much for sharing! Happy writing!